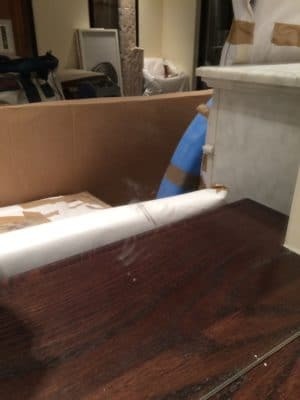 Scratch repair to a large mirror in a lounge in a house in London saves the mirror from replacement before the work was handed over. 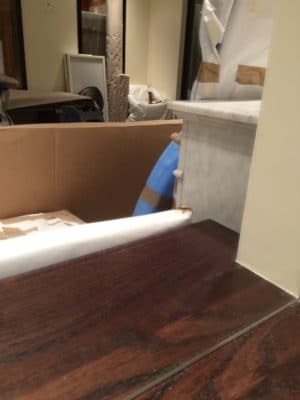 The scratch to the mirror is very obvious and would not pass a hand over inspection. Once the scratch has been polished the mirror shows no sign of damage and the hand over passed with no issues.